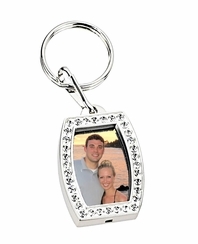 This rhinestone picture keychain can hold a picture on the front side and can be personalized with engraving on the back side. Picture size 1.5" x .875"
This silver picture frame keychain is wonderful gift. 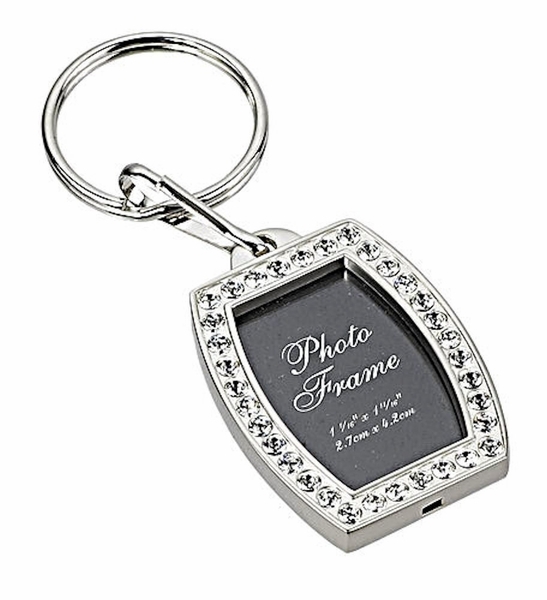 This photo holder keychain can be engraved with names or a message on the backside.